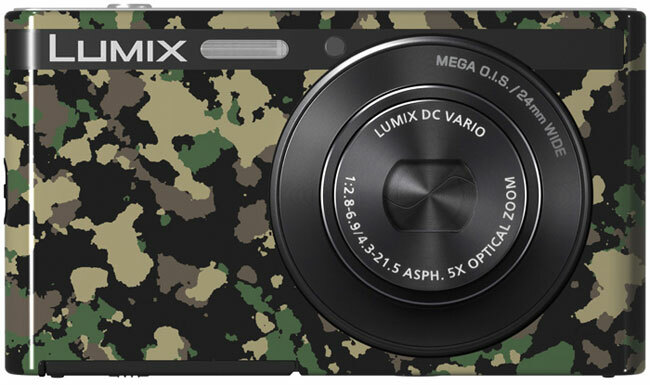 Panasonic has announced that its Lumix DMC-XS1 digital camera is available with 10 different themes on the outside of the device. You can purchase the camera with a number of graphics on the outside including floral prints, textures, flowers, and even camouflage. The camera has a 16.1MP resolution. It also features a wide-angle 24 mm lens with five times optical zoom. Panasonic says that the XS1 is the thinnest camera with a retractable five times optical zoom lens and integrated optical image stabilization. Images are stored to microSD memory cards, but the camera does have 90 MB of internal storage. The camera also has the ability to record 720p resolution HD video. The camera also has image editing and touch up features and a number of creative filters that can be applied images right on the camera. Pricing for the cameras is unknown.